This black & white skirt from the Peter Pilotto for Target collection is my favorite. 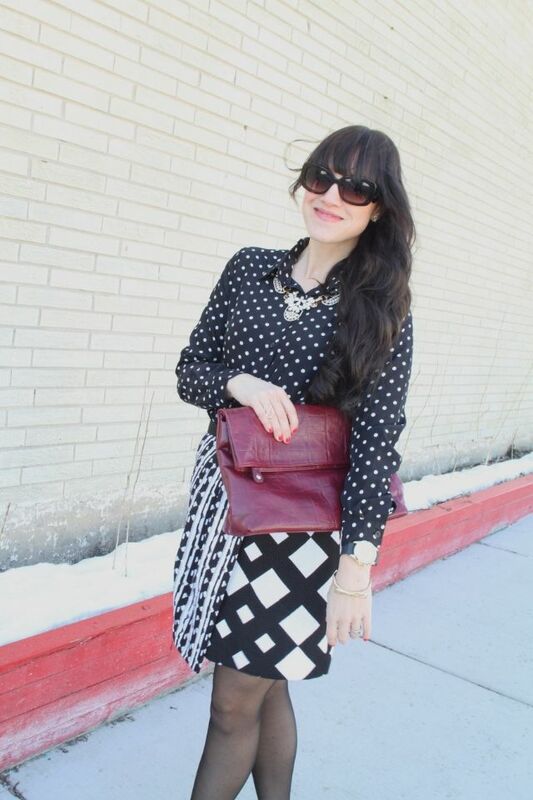 I love that it print mixes within itself, but I decided to mix it up further by pairing it with a black and white polka dot blouse. I wanted to keep the color pallet simple so I added gold jewelry and great black heels with gold details on the back. To finish the look off I added this oxblood clutch and a great classic wool trench. What do you think about how I styled this skirt? I absolutely love this skirt! All these prints are perfect together!